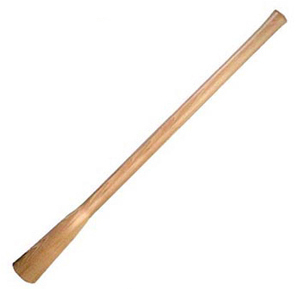 HOLLOW BACK ALUMINUM SCOOP 27" northern ash handle Non-slip cushioned poly "D" grip Ribbed aluminum alloy blade for strength Lightweight aluminum scoop 1670900 #10 ALUM GRAIN SCOOP SIZE:#10 BLADE:14-3/4 x 18"
LONG HANDLE POLY SCOOP 48" northern ash handle ABS poly construction blade 1680100 #12 POLY GRAIN SCOOP SIZE:#12 BLADE:14-1/4 x 19"
HOLLOW BACK ALUMINUM SCOOP 27" northern ash handle Non-slip cushioned poly "D" grip Ribbed aluminum alloy blade for strength Lightweight aluminum scoop 1681400 #14 ALUM GRAIN SCOOP SIZE:#14 BLADE:15-3/4 x 20"
CUTTER MATTOCK HEAD Imported Heavy-duty forged steel Eye size: #6 HANDLE NOT INCLUDED 1135400 5LB CUTTER MATTCK HEAD SIZE:5 Lb. 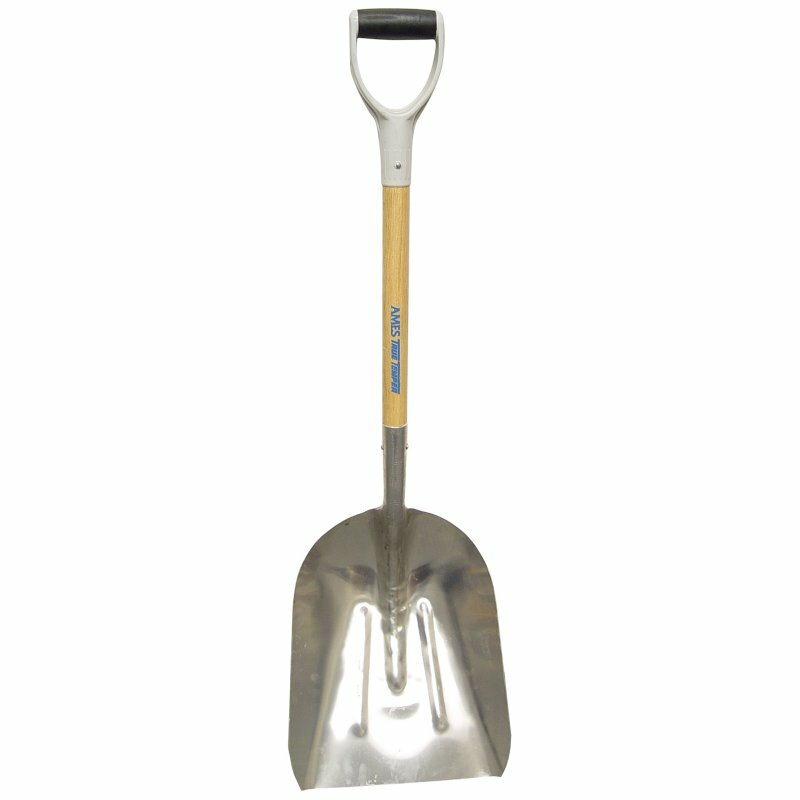 CLAY PICK HEADS Imported High-carbon steel Eye size: #6 HANDLE NOT INCLUDED 1137800 5LB IMP CLAY PICK HEAD SIZE:5 Lb. 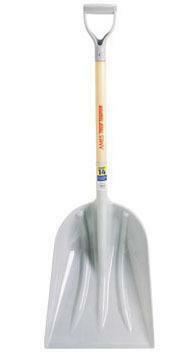 CLAY PICK HEADS Imported High-carbon steel Eye size: #6 HANDLE NOT INCLUDED 1138700 6LB IMP CLAY PICK HEAD SIZE:6 Lb. 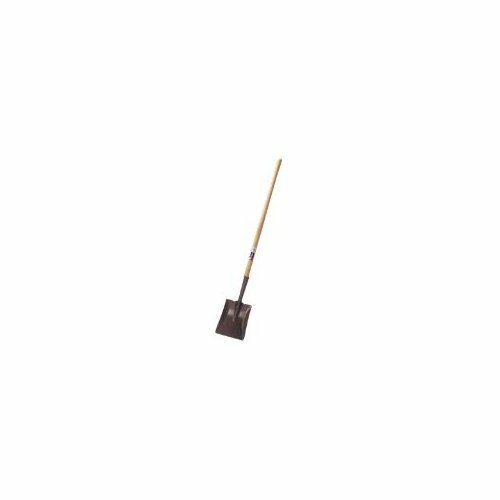 RAILROAD / CLAY PICK Used for digging in clay or packed earth Forged steel clay pick w/36" hickory handle Handle is equipped with strike guard 1195500 6# RAILROAD CLAY PICK SIZE:6 Lb. 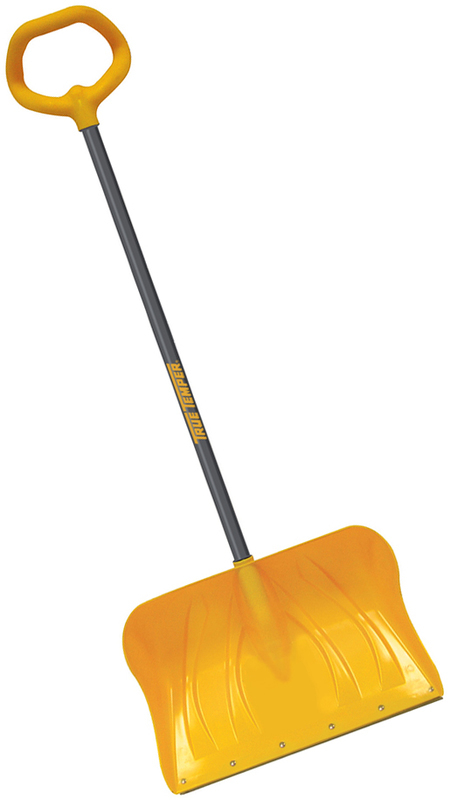 EAGLE ROUND POINT SHOVEL 46" coated hardwood handle Open back, tempered steel blade Rolled shoulder for increased strength 1554300 LHRP EAGLE SHOVEL BLADE:8-1/2x11-1/2"
ARCTIC BLAST MOUNTAIN MOVER Lightweight, durable, poly snow shovel Steel wear strip Steel core handle Quick-connect system D-handle for easy use 1627200 18 IN. 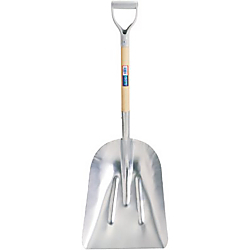 MNT MVR PLY SHOVEL BLADE:13-1/2" x 18"
TELEGRAPH DIGGING BAR Use to dig holes for insertion of post Sharp end used to line up long posts 1168500 1X72 IN. 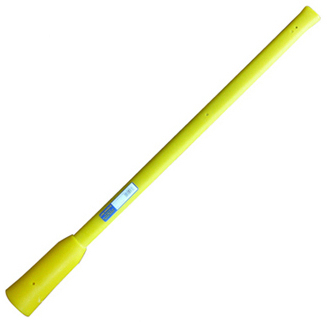 STL DIGGING BAR SIZE:1 x 72"
TOUGHSTRIKE 6 LB. 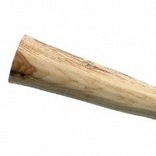 CLAY PICK 6 lb. 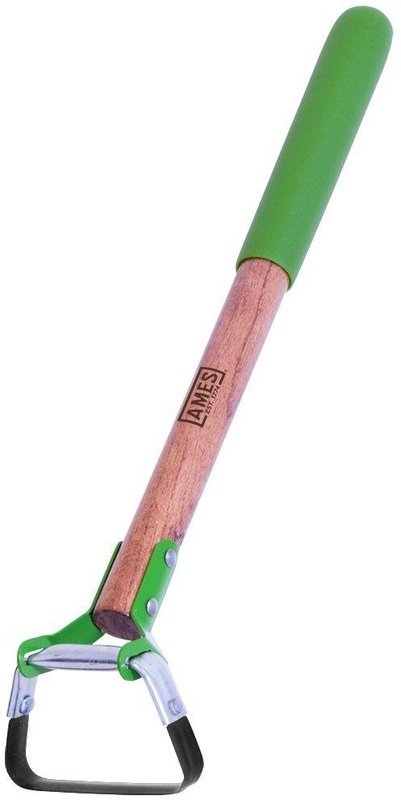 forged steel clay pick head for - maximum durability Head is attached to a 36" American Hickory - handle with a slip/eye - head/handle connection Handle features overstrike protection to - help prevent handle breakage Great to use to dig in harden soils or clay 20182100 6# WOOD CLAY PICK SIZE:6 Lb. 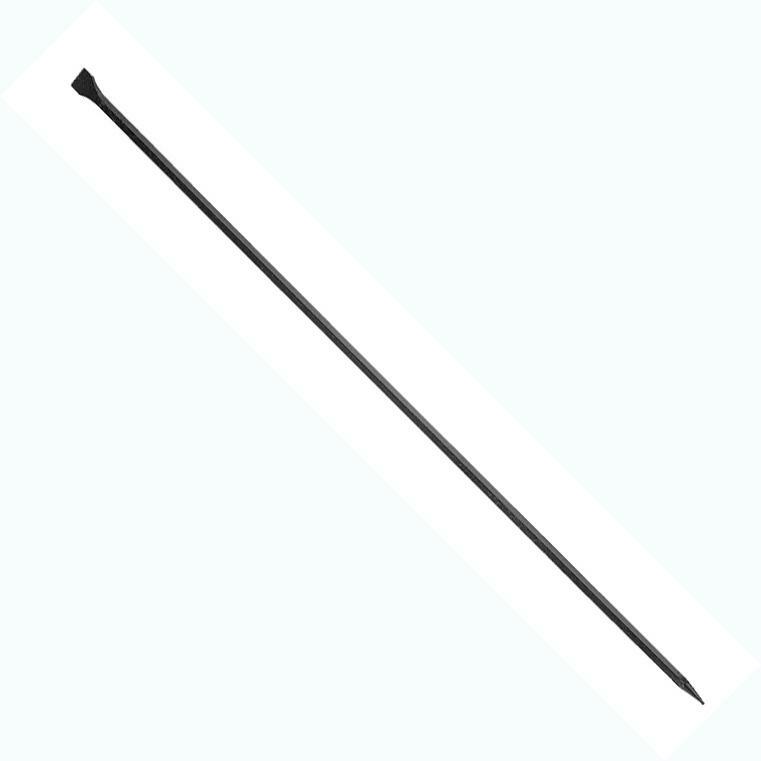 TOUGHSTRIKE 5 LB. 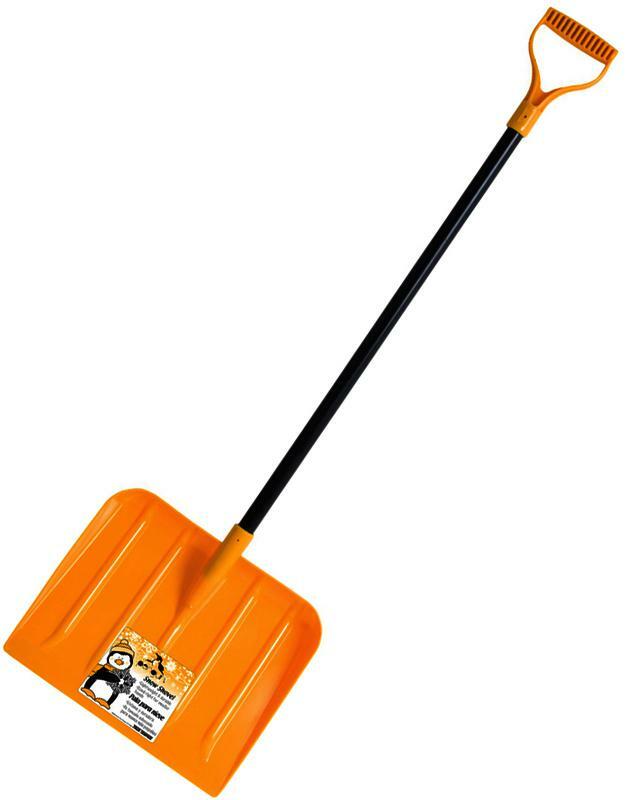 PICK MATTOCK Pick / mattock has 5 lb. 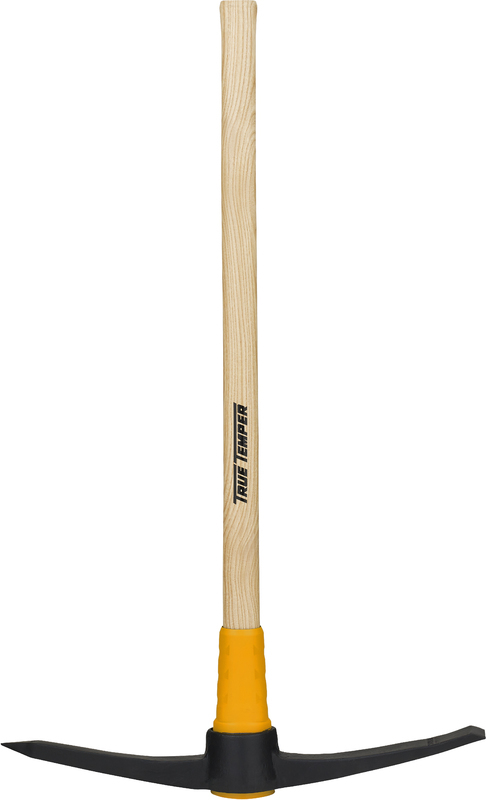 forged steel head Head is attached to 36" American Hickory - handle featuring overstrike protection Helps to prevent handle breakage Slip-eye connection of head to handle Use tool to dig in harden soils, clays and - for trenching and prying roots 20182900 W/HDL 5# PICK MATTOCK SIZE:5 Lb. 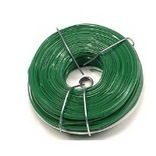 TOUGHSTRIKE 2-1/2 LB. 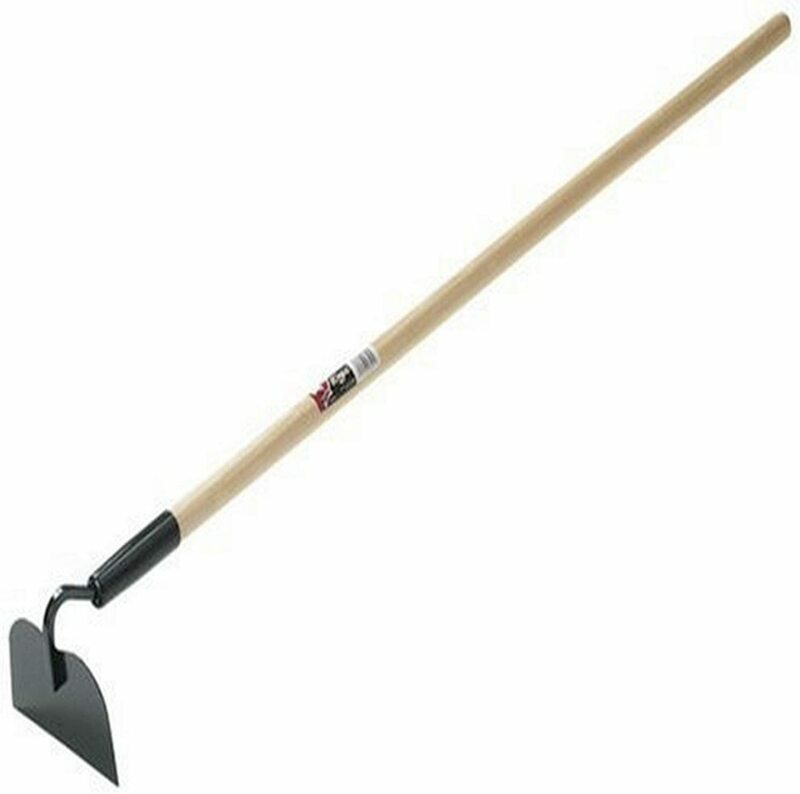 GARDEN PICK MATTOCK 2-1/2 lb. 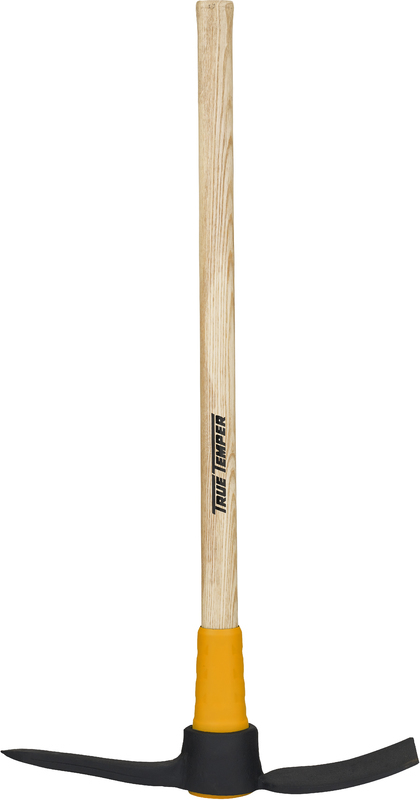 forged steel pick/mattock head for - maximum durability Head is attached to a 36" American Hickory - handle with a slip/eye - head/handle connection Handle features overstrike protection to - help prevent handle breakage Great for use to loosen hard soil, as well as - trenching or prying roots 20183000 2.5# GRDN PCK MATTOCK SIZE:2-1/2 Lb. 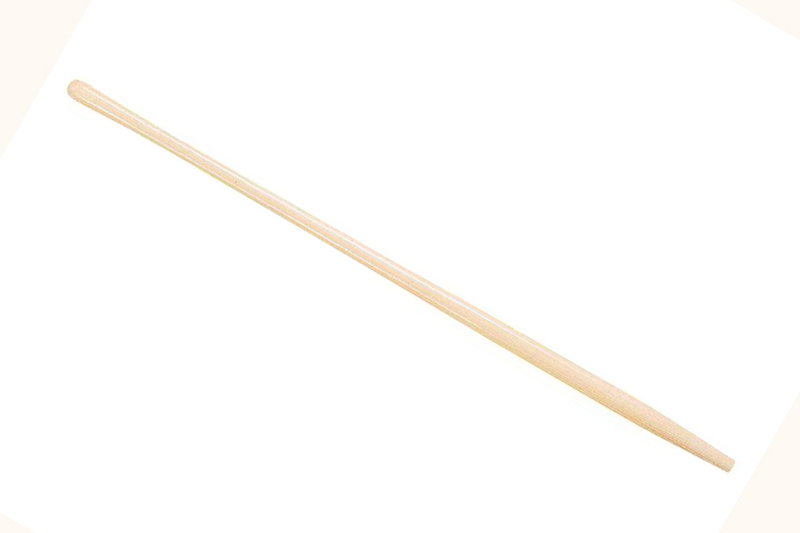 36" CLAY PICK REPLACEMENT HANDLE Replacement handle for 5 to 9 lb. 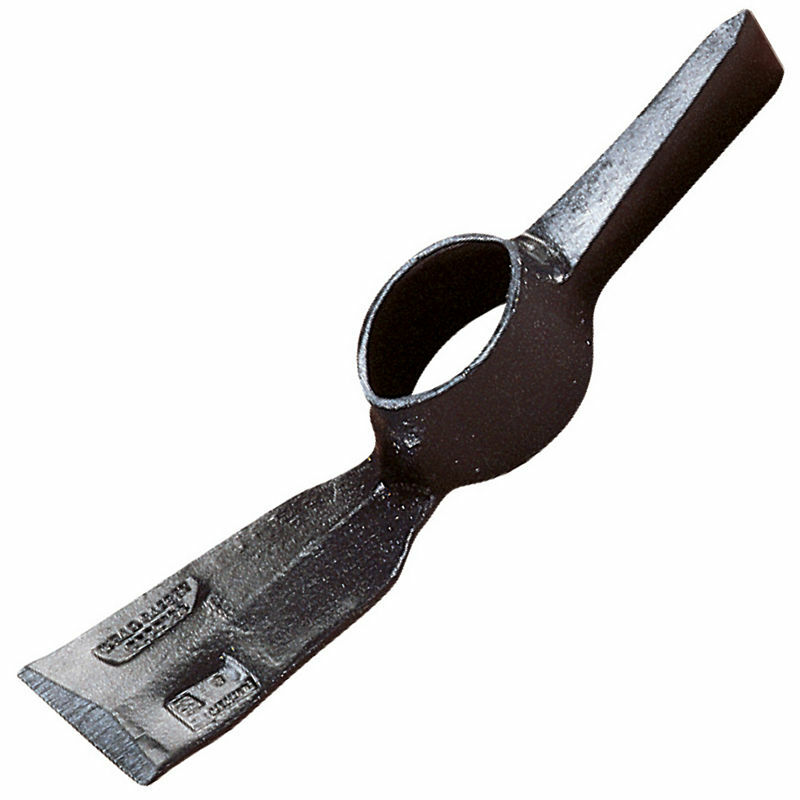 clay - or railroad pick heads Seal-coated premium northern hardwood handle Provides strength and durability Features overstrike protection handle guard No epoxy or wood wedges are needed to attach - pick to handle 2036900 36 IN. 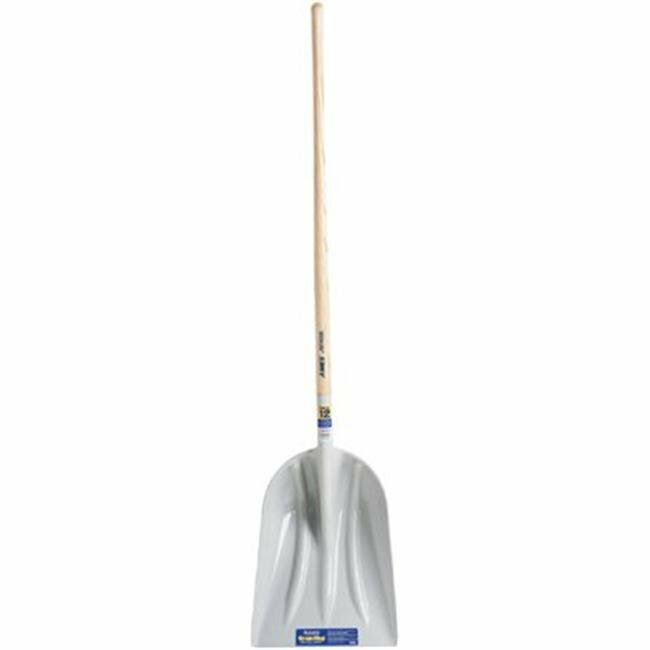 PICK MATTCK HANDLE SIZE:1.5"x2"x36"
GARDEN OR NURSERY MATTOCK HANDLE For 3 lb. mattocks No. 7 eye 2-3/4 x 1-3/4" Made of American Hickory Better quality handle with clear lacquer & - fire finish for pleasing appearance For heavy-duty and frequent use 240-19 36 IN. 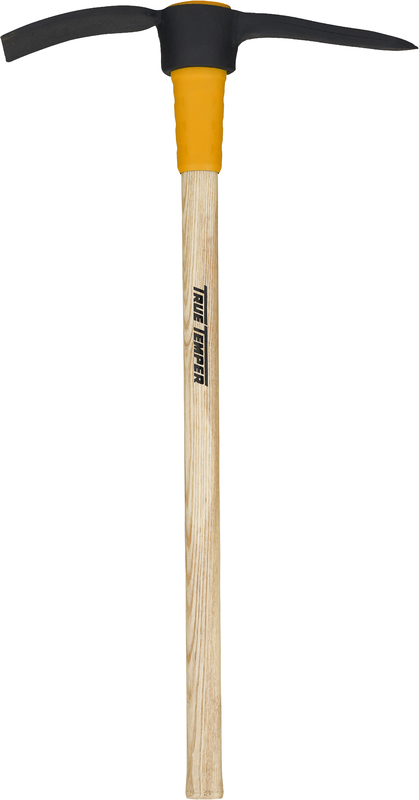 MATTOCK HANDLE LENGTH:36"